It's late on a snowy evening in December 2007. 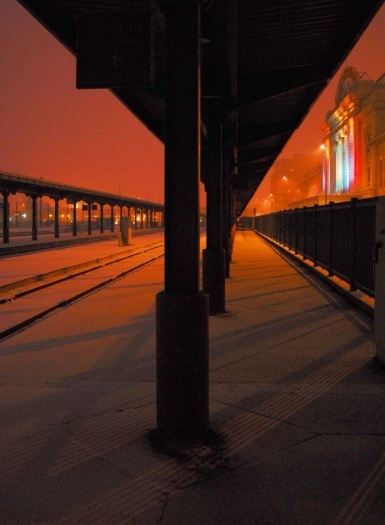 Union Station is lit up in all her glory, but the lights belie the cold rails and deserted platforms that await any weary traveler looking for warmth or maybe a room at the inn. The station sleeps in early winter slumber, a few years before the redevelopment claims the platforms seen here and subterranean concourse under DUSPA.